﻿ Gotransverse | Hello Hydrant! Today I took a quick break to text with a fire hydrant outside of our offices. No, I’m not crazy. I was trying out the award-winning temporary public art project Hello Lamp Post: Austin. Hello Lamp Post: Austin is a city-wide platform for play that lets you talk to the city’s ”street furniture” via text message. The Willie Nelson and Stevie Ray Vaughan statues, bus stops, mailboxes, fire hydrants and manholes—basically anything that has a pre-existing identifier code—are available to talk and share snippets of conversations with other players. It made me realize how quickly we are evolving the ways to connect using pre-existing infrastructure. While this platform is just a game, imagine a world where the lamp post serves as a 911 operator, a communication line to relay messaging to first responders or simply providing directions when lost. This playful project is a clear step in making smart cities a reality. 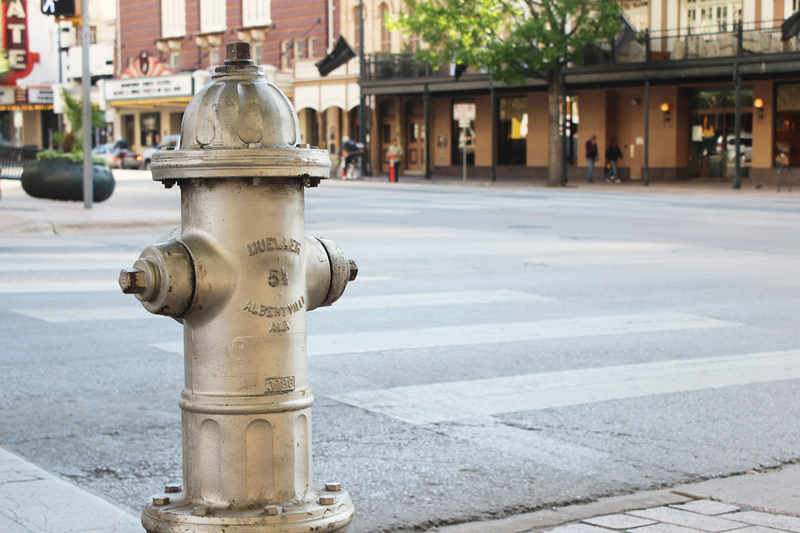 The other thing that fascinates me, besides the fact I’m texting with a fire hydrant in the middle of downtown Austin, is the thought put into giving the inanimate objects personality. It’s an interesting design element, and probably the next step in user-design for all things networked and connected. The personality was not about making the hydrant human, but giving it its own voice. We did this unconsciously as children with toys, stuffed animals, and imaginary friends. Big brands, social media and celebrities put on personas; I suppose inanimate objects with personalities are a natural next step in the Internet of Things (IoT). So, how did the conversation go? Hydrant #291 asked me what my favorite type of vacation was, and that it would prefer to be by the ocean. It also told me that another hydrant told it that the quietest thing someone heard earlier that day was the clicking of heels down the hallway. Then it politely said good-bye and to come back soon. I’m curious to what it says tomorrow.